Another set of 'Fortnite' leaks has been making rounds online as it suggest of powerful weapons and grenades. Upcoming "Fortnite" contents have been leaking lately as some of them have already graced the third-person shooter. A new set of Leaks has been making the rounds as it teased items that are likely to drop in the game. 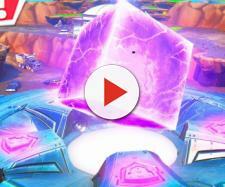 In one of its recent videos, the YouTube channel of DieBuddiesZocken posted a screenshot of what could be "Fortnite" file folders that are believed to be datamined from Epic. If these files are anything to go by, it may well seem that there will be a plethora of items heading towards the game, especially in its battle royale mode. However, it was not detailed as to how these items would work in the game if these would come to fruition. YouTube channel – Home of Games, on the other hand, has intel on some of them and even managed to snag snapshots of these leaked items. Here are some of the weapons that might go live in "Fortnite:"
Concussion Mine - Per the YT channel, this will basically slow down opponents whenever this is thrown close to them. Durr Burger Helmet – A mascot-themed helmet that protects players from a single instance of critical damage. Backpack – Allows players to carry more items during gameplay. 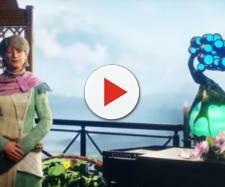 Energy Crystals – Obtained intel only stated that this item should "not be confused with healing crystals." Beehive Grenade – A grenade that will apply a damage-over-time effect to other players who are inside the explosion radius. 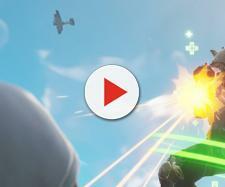 Air Strike Laser – Players can actually direct an air strike with this bad boy. However, it was stated that its rarity will be legendary. Tesla Totem – Just like the Concussion Mine, this will also slow down opponents. Vacuum Grenade – This is similar to the Impulse Grenade that knocks other players once it explodes. Bottle Rocket – Hurls grenades at further distances and with more specific trajectories. MOAB – It's like a pistol that launches a small rocket that "makes a big BOOM!" From the alleged leaked items, it is noticeable that a lot of them were grenades. Game buffs believe that these could be in preparation for an upcoming event in "Fortnite," though this has yet to be confirmed by Epic alongside the above-mentioned contents.